Two of Australia's finest road transport journalists, Steve Brooks (left) and Matt Wood team up for the shoot-out. The view from the K2’s cockpit was just fine. The smooth, stylish command centre of the FH. Hanging with the real workers at BP Rocklea. Big trucks for a big country. 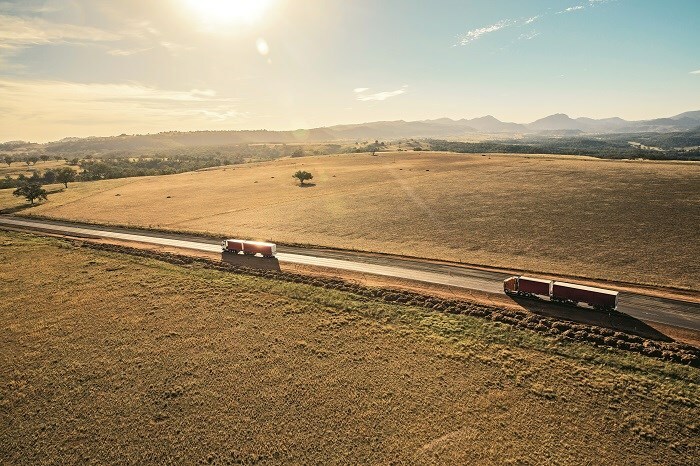 When NFM resident truckie MATT WOOD was given the opportunity to run two of Australia’s bestselling truck brands head-to-head, he took it with both hands. He reports on a remarkable week. 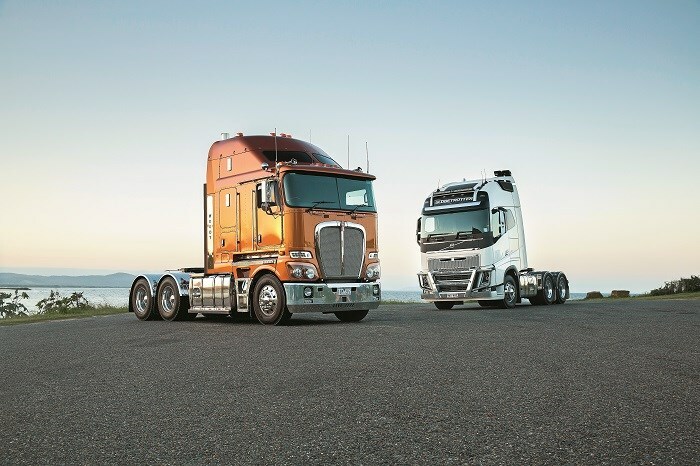 The Volvo FH and Kenworth K200 are the two bestselling heavy-duty trucks on the Australian market. The KW trades on its reputation and heritage as a tough no nonsense B-double hero. 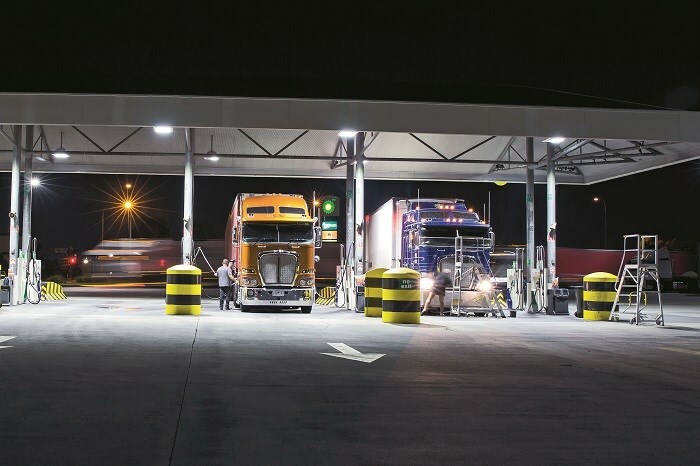 The new FH trades on safety, ergonomics, fuel efficiency and the latest in techno gadgetry. They are polar opposites in virtually every way yet both are clearly at the height of their powers. One is the locally developed model that is unique to Australia and New Zealand; the other is the latest global platform touting features that some manufacturers can only dream of. Both of these trucks are manufactured right here in Australia. When the opportunity to run these two models head-to-head came up we grabbed it with both hands. To give me a helping hand and enhance the integrity of the entire exercise, I enlisted mentor, mate and Australia’s most experienced and respected road transport journo, Steve Brooks, as my co-driver for a real world shoot-out between these two impressive bits of kit. I’d actually been involved in speccing up both trucks and was on hand to see them being assembled in their respective factories. Both trucks needed to be comparable in power and both also needed to use an automated transmission. 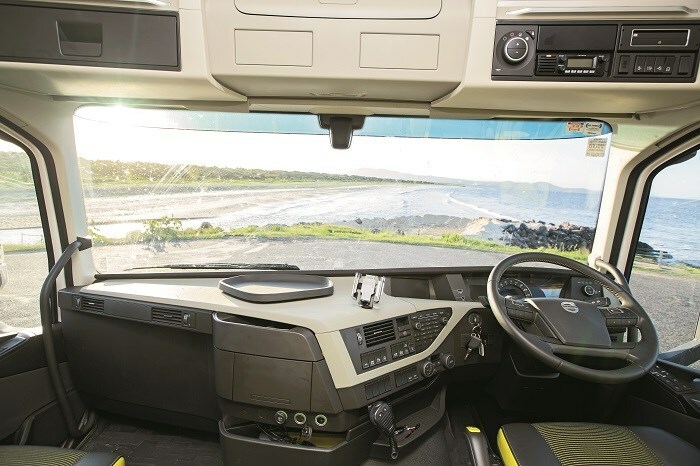 I specced the Kenny with a 2.8m stretch cab in Tiger Mica, charcoal chassis, lashings of stainless and chrome and even a dummy exhaust stack on the left-hand side. I’d even opted for the rarely seen slide-out step as well as the full electronic stability package (ESC) including ACB (Active Cruise with Braking). I wanted a tall final drive ratio on the Kenny as I reckon tall gears and big horsepower are a good equation for fuel economy and performance. I really wanted to put 3.92:1 diffs in it, but we finally settled on 4.1:1 gears instead. This would give the Woody Wagon 1,550rpm at 100km/h which is right in the Cummins’ sweet spot for torque and horsepower. 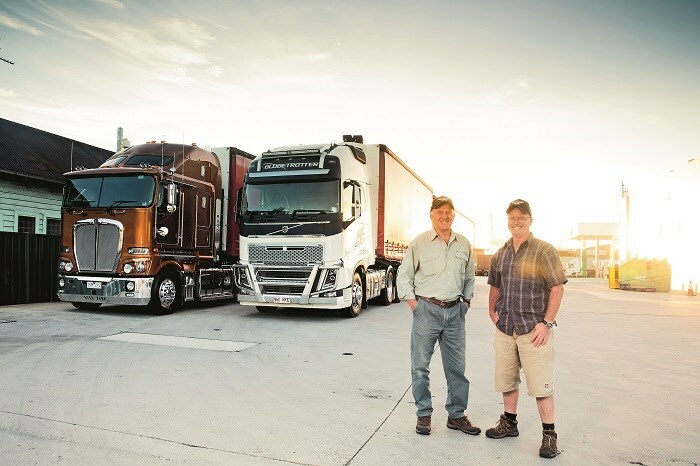 To match this premium interstate prime mover, Volvo built us a full house FH16 Globetrotter XL. This truck came with all the acronyms: I-Roll, I-Shift, Volvo Dynamic Steering (VDS) and Adaptive Cruise Control, lane change warning, blind spot alert … the list goes on. My FH rolled off the Wacol line finished in white with a 3.4:1 final drive and was fitted with the locally developed Wild Bar to make sure any collision with something large and furry wasn’t going to take any body work with it. Over 3,500km we aimed to get under the skin of these two vehicles. 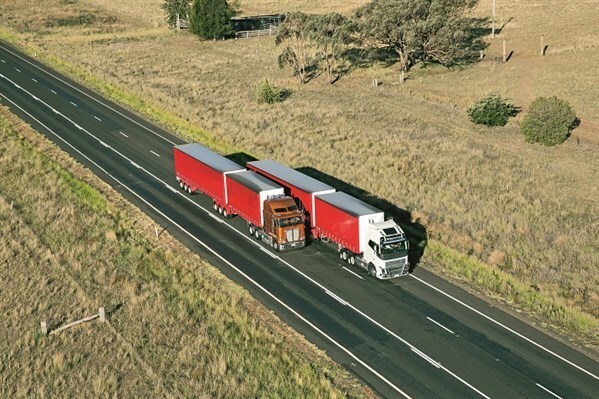 We simulated a fairly routine trucking week on Australia’s eastern seaboard. We ran the trucks simultaneously up the Hume and Pacific highways to Brisbane before returning to Melbourne via the Newell Highway. We had two B-double trailer sets each stuffed with a 35-tonne payload made up of concrete road barriers. This put the gross weight of the Kenworth at 61.4 tonne and the Volvo at 61.8 with three-quarter full fuel tanks. The variety of road surfaces and topography was sure to test the mettle of these two trucks and hopefully highlight some of the highs and lows of both the K200 and the Volvo FH. The idea was to monitor fuel economy, performance and liveability over a simulated working week. Overall the Kenworth is an engaging drive that lets the driver read the road though their ears, eyes and through the wheel, and it hasn’t succumbed to over-complication during its evolution. But the Volvo FH is something else. As much as I’m reluctant to make big statements this FH16 Volvo has more finesse and poise on the road than any commercial vehicle I’ve driven to date. Is there a winner? That’s a tough one. You can catch all the video action on fullyloaded.com.au, and read the full feature in New Farm Machinery magazine issue 21, on-sale now. Subscribe to the magazine now using the buttons below to never miss an issue.